Vpn → How does VPN work? 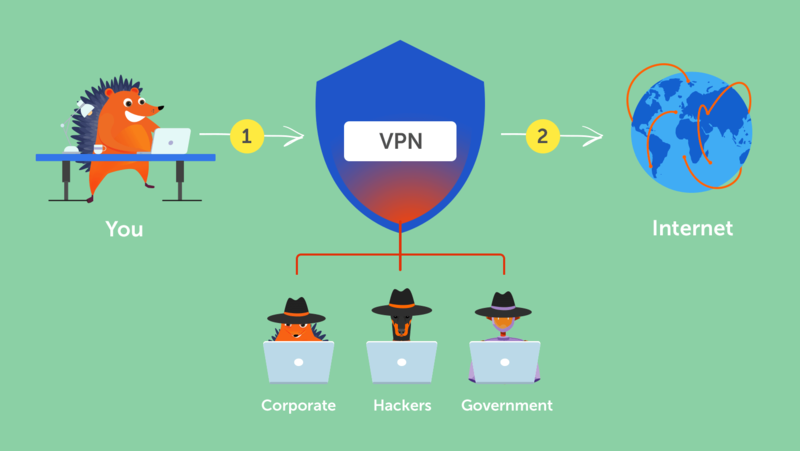 Before we dive straight into the inner workings of a VPN, it is a good idea to familiarize yourself with the basics of what a VPN is and what it does. But how exactly does a VPN do that? As previously mentioned, a common reason to use a VPN is to prevent anyone – from ISPs to public Wi-Fi hotspots-- from tracking what you’re doing online. Created by Microsoft, this is one of the oldest protocols used on the internet today. As such, it’s only really useful if you are using it on an older Windows operating system, though it is fast and easy to deploy. However, if a VPN service offers just this, it isn’t recommended. This protocol is a combination of the previously mentioned PPTP and the L2F protocol by networking hardware company, Cisco Systems. It creates a more secure data tunnel than PPTP, but doesn’t actually have encryption or privacy capabilities. As such, it is often bundled with IPSec, which is a security protocol. Another VPN created by Microsoft, this is the VPN equivalent of the protocols used by websites for encryption purposes. A very secure protocol, only the two parties involved in the transmission of data can decode it. A newer, more secure version of L2TP, IKEv2 was also born from a collaboration between Microsoft and Cisco. Like it’s predecessor, it is often bundled with IPSec. This protocol is particularly effective on mobile devices. OpenVPN is an open source VPN technology and is widely seen as the best around. Don’t let the term “open source” put you off, all that means is that countless developers are constantly improving the technology, and anyone can use it and modify it to their needs, whether that be individuals or companies. Its effectiveness has been put to the test numerous time through high-profile audits. OpenVPN is one of the most popular protocols and is considered the most secure, offering the same protection as the previously mentioned protocols, but on a greater scale. Is it free or paid? - When it comes to a secure, speedy service, it really is worth it to pay for a VPN. Many free VPNs tend to offer only the PPTP protocol which, as we said earlier, really isn’t very effective these days. They have fewer server locations and less bandwidth to offer. Very often with these free options your data is tracked and sold to third-party businesses. Paid VPN options more often than not have more powerful security protocols on offer than their free counterparts. A good paid VPN should have more server locations and more bandwidth, providing you with a faster service. They will also have customer support on hand if you run into any issues. Secure your online connection and keep your data private with Namecheap's virtual private network. Using a VPN allows you to surf and work online with a safe and minimally restricted internet experience.